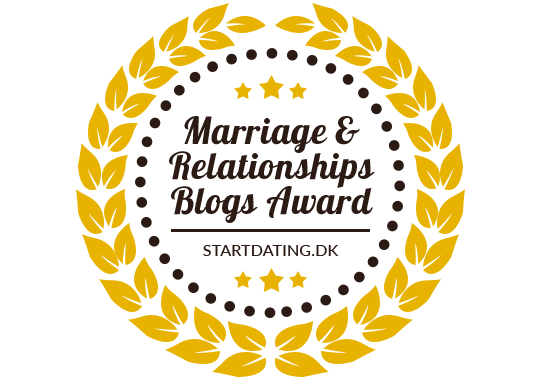 I was a second place finalist in the Marriage and Relationship Blogs Award! Who wants to get up at the crack of dawn, leave a cozy, warm bed, get into a workout outfit and head to the gym for an hour of exertion and sweating? Who wants to spend a Saturday doing the books and paperwork for their self-owned business, instead of listening to music, romping in the woods, or hanging out, eating and drinking with the people you enjoy? Who wants to come home after eight grueling hours at the office to walk the lonely dog, answer twenty overdue emails, and cook dinner on demand? Who wants to spend a whole beautiful Sunday afternoon in July visiting a sick friend who’s in the hospital an hour away? So, the big question becomes: how do you get yourself to honor your “Shoulds”? How do you motivate yourself to do the right thing, taking care of the not-so-fun parts of your life which require attention? How do you attend to your connections and responsibilities to your friends and family when doing so may be tiring, and not very glamorous or convenient? 1. Connect with your deeper, less momentary motivation. Think about the big picture and why doing this thing is nagging at you? Will you be creating a big mess by avoiding it? Will someone else get hurt or offended if you blow this thing off? Is there a health issue which needs to be addressed in some regular way? Or, is this “Should” an unnecessary, illogical, guilt-driven piece of head noise? 2. Try to automate this activity if you can, as with exercising daily.Build it in and make it part of your schedule. By doing this you reduce conflict by pre-empting some bargaining on your part. When you automate things you spend less time thinking about how boring or annoying they may seem, (like brushing your teeth). The Nike company made multiple millions with their “Just Do It” slogan for good reason! *If you’d like to join me live on the air with questions or comments call into the studio at 877-497-9046. The most prevalent problem I deal with in my work as a psychotherapist with individuals and couples is the issue of how people talk to each other when they’re trying to manage conflict. And “conflict” isn’t always about big ticket items, like how to handle a kid’s bad behavior, or who is spending how much money. Conflict can be about who forgot to feed the dog or who did a lousy job declining an invitation to a party. It can be about anything where there’s an experience of difference or disappointment or hurt or aggravation or frustration. (The list goes on and on). So, if you notice a fair amount of escalation or reactivity or avoidance or defensiveness or criticism in your marriage you may need some help. You’ll want to first understand how the tactics you and your spouse use may be destructive and why. You’ll also want to know how these behaviors can become part of a toxic pattern which may put you at a higher risk for divorce. Most importantly, you’ll want some tools for how to deal with conflict in more mature, constructive and respectful ways so the two of you don’t become a nasty statistic. For a quick primer on all of this I’d recommend that you listen to my latest podcast on BlogTalk Radio about this subject. In just 30 minutes I condense the subject sufficiently so you’ll be better equipped in this department. After that, it just takes practice, practice, practice, like anything else that matters in life. Don’t Forget to Vote For Me in the Marriage and Relationships Blogs Awards! On Wednesday, March 6th at 8:30 PM EST I’ll be airing this 30 minute podcast about a vital issue you and your spouse need to know about – the 4 biggest communication violations around conflict, their dire effect on marriages, and how, with some do-able attitude and behavioral adjustments you can avoid their negative cascade of effects often leading to divorce. Don’t become another statistic! Learn to behave better in your marriage, even when you’re angry, disappointed, or anxious, and need to let your spouse know about that. Become aware of the ways you can either communicate in an offensive or respectful manner, especially when you’re upset. To join into the conversation live with questions or comments call into the studio at 877-497-9046 and dial “1” on your phone. I’d love to have you part of a conversation!